Come out April 15 2019 to Mojito House Bar and Restaurant for our second show. You really do meet the nicest people at momondays!! Join us at Mojito House Bar and Restaurant, 4030 Montrose Road, Niagara Falls. Get your fix of heart, happiness and humour at momondays. We've got a great line-up of speakers, uplifting music, and of course lots of laughs. There's nothing like momondays! Get your tickets now!!!!! Get notified about our next show! Follow momondays Niagara on Facebook! We've got a great line up this month at momondays Niagara. Get your tickets early, you're not going to want to miss this one. Stay tuned for more info. Attended a momondays Niagara show? Leave us a Facebook review or email it to niagara@momondays.com. 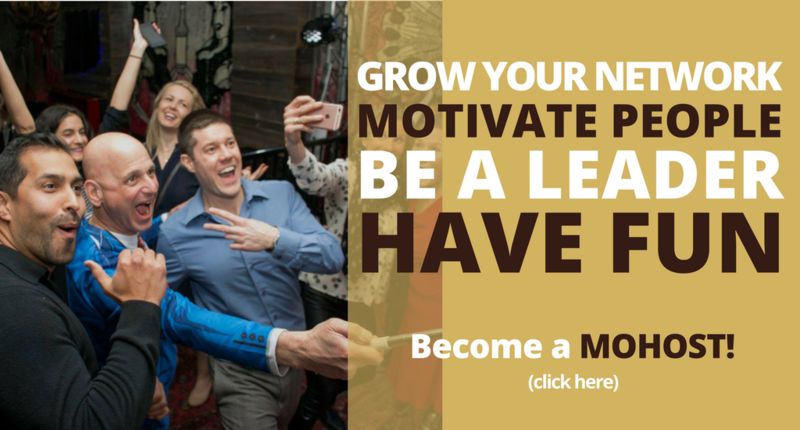 Want to speak at momondays Niagara? Want to keep in touch with momondays Niagara? I am the owner and founder of Shifting Gears Life Coaching. Through my life coaching firm, I help my clients find power and strength in your daily life so you can develop healthy relationships with your surroundings, your loved ones and yourself. As a speaking coach I can help you prepare to take the stage, talk at a team meeting or simply improve your communication skills so you feel comfortable in social settings. At Shifting Gears Life Coaching working with people of all ages, I like to work closely with each client to build a sense of trust and helping Shift Gears to the life you are looking for. Since launching Shifting Gears Life Coaching in the summer of 2017, I have inspired people to reclaim their lives and reignite their passions. Check out the heart, humour and happiness at momondays Niagara!